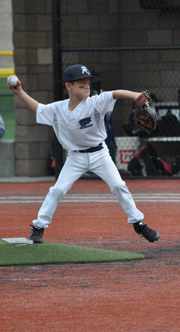 Clarkstown Baseball Association provides a cut and dry overview of what travel or elite baseball is and the differences between it and "Recreational" baseball. This is a great introductory article for those new to the travel baseball scene that can help you narrow down what you are looking for. Taking a look at Coaches, Mission, costs, size of team and much more. Pitchers aren't the only ones with overuse injuries in baseball. Check out the latest data and prevention tactics. Parent coaches in travel baseball, good thing or bad thing? Is it a good fit for you? What are the chances your kid will play college baseball or softball? Professional baseball or softball? You should read this article. Teams from 50 states, Puerto Rico and Canada. Regional tournaments, State tournaments and a World Series make this one of the most popular baseball organizations around. They play great baseball and players have an opportunity to play in tournaments and a league World Series. Find a team or start a franchise. Great organization and great baseball. 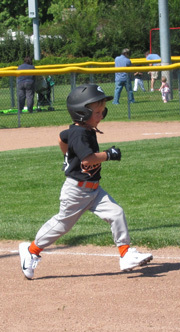 This is another option for youth baseball players to continue developing their skills. Start or find a charter here. Travel Ball News, Forums, Scores, Travel Ball TV and other cool stuff. Sign your team up, keep stats during the game, track other teams. It's great! More tournaments are coming soon! Submit your North Carolina baseball tournament information here. © Travel-Baseball.org All Rights Reserved.